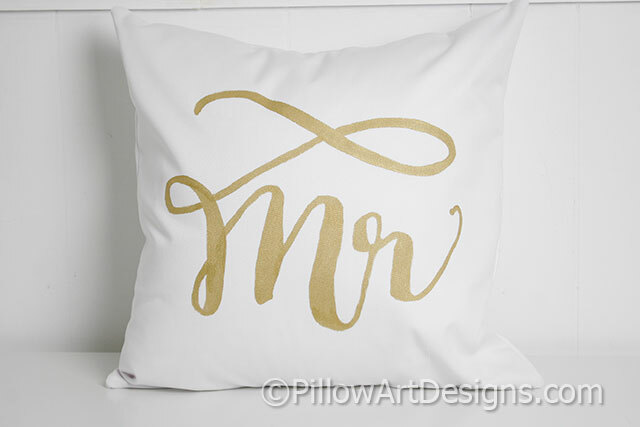 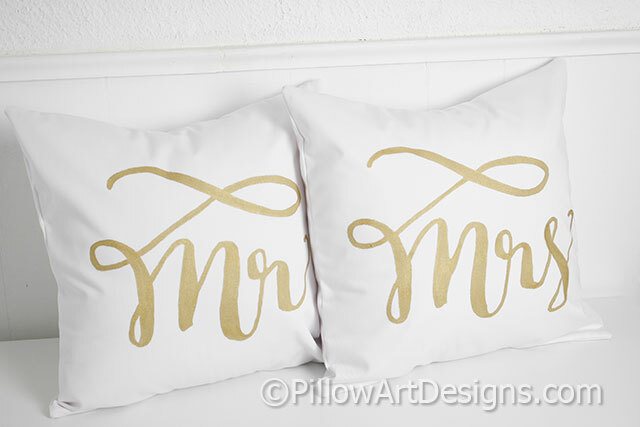 Mr and Mrs pillow covers hand painted in calligraphy style font. 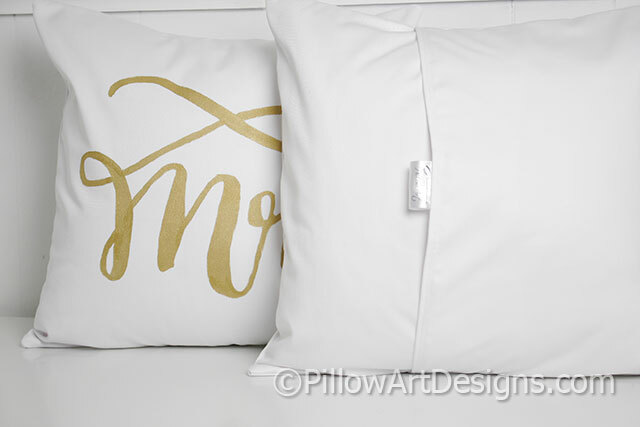 Great couples gift to celebrate engagement, wedding or anniversary (especially 2nd anniversary 'cotton'). 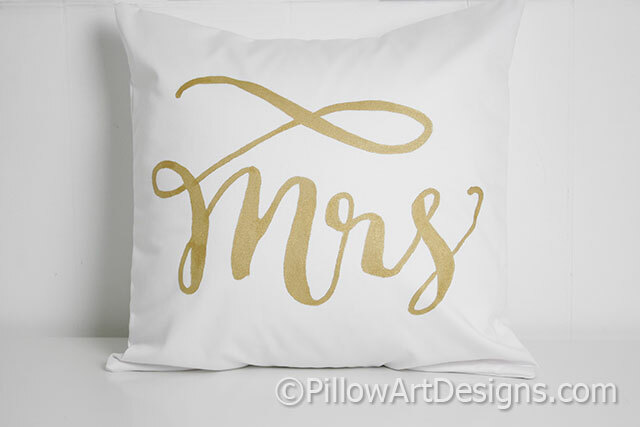 Also a nice addition to your event decor.